The Buccaneers have forced 10 turnovers over the last four weeks. They play the Cowboys in Week 16. The Buccaneers have allowed 100 rushing yards in eight straight games. They play the Ravens in Week 15. The Buccaneers have forced six turnovers in the last two weeks. They play the Saints in Week 14. 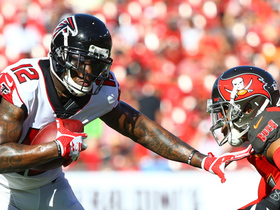 The Buccaneers rank 29th in the league with eight forced turnovers. They play the Panthers in Week 13. The Buccaneers have allowed over 36 points in three of the last four games. They play the 49ers in Week 12. The Buccaneers have forced one turnover over the last six games. They play the Giants in Week 11. The Buccaneers have allowed over 30 points in five of their last six games. They play the Redskins in Week 10. The Buccaneers have allowed 30 or more points in four of their last five games. They play the Panthers in Week 9. 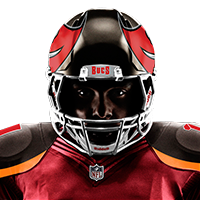 The Buccaneers are allowing a league-high 32.7 points per game. They play the Bengals in Week 8. The Buccaneers have allowed every opposing quarterback this season to surpass 330 passing yards. They play the Browns in Week 7. Analysis: The Bucs will look for some relief against the Browns, who rank 23rd in the league with 228.5 passing yards per game. However, in Baker Mayfield's three starts, he's averaged 291.7 per contest, including 342 against the league's second-best pass defense, the Ravens. That spells trouble for the Buccaneers, although Mayfield has thrown four touchdowns compared to five picks. However, the upside is quite low for the Buccaneers in a game that has the makings of a shootout. The Buccaneers have allowed 30 or more points in three of four games and over 40 points twice. They'll play the Falcons in Week 6. The Buccaneers allowed 30 points and 413 total yards to the Steelers in Week 3. They'll play the Bears in Week 4. The Buccaneers beat the Eagles 27-21 in Week 2. They'll play the Steelers in Week 3. DE Robert Ayers is battling a shoulder injury ahead of Sunday's game against the Saints. 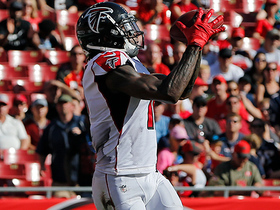 CB Ryan Smith (hamstring) is listed as doubtful for Sunday's game against the Panthers. 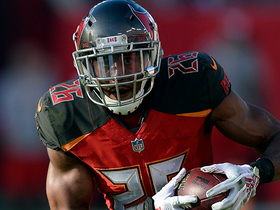 LB Lavonte David is nursing a hamstring injury ahead of Monday's matchup with the Falcons. FS T.J. Ward is proceeding through concussion protocol ahead of Sunday's game against Detroit. FS T.J. Ward is in concussion protocol ahead of Sunday's game against the Packers. DE Robert Ayers (concussion) has been ruled out for Sunday's game against the Falcons. Defensive linemen Robert Ayers (ankle), Gerald McCoy (shoulder) and William Gholston (neck) are all dealing with injuries ahead of Sunday's matchup with the Dolphins. The Bucs have three defensive linemen dealing with injuries ahead of Sunday's game against the Jets. CB Brent Grimes is nursing a shoulder injury ahead of Sunday's matchup with the Saints. 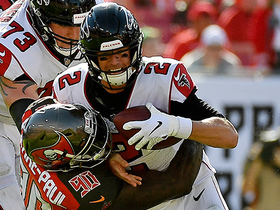 Analysis: The Bucs are headed to New Orleans to take on a Saints' squad that is ranked sixth in points and second in yards. Going to the Superdome doesn't do them any favors either, as QB Drew Brees will be comfortable airing it out, and the Bucs have consistently shown they have no answer for a strong passing attack. If Grimes isn't able to play, those worries are amplified. It's hard to see much of an upside here, so fantasy owners should steer clear for the time being. 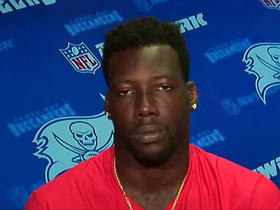 Buccaneers defensive end Jason Pierre-Paul talks about his versatility working across the defensive line. 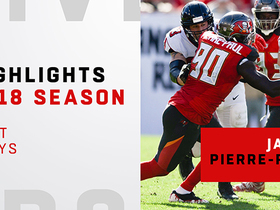 Take a look at all of Tampa Bay Buccaneers defensive end Jason Pierre-Paul's best plays from his 2018 NFL season. 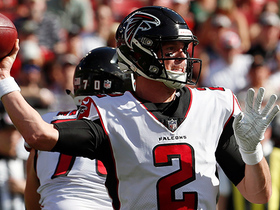 Atlanta Falcons quarterback Matt Ryan somehow completes pass while falling. 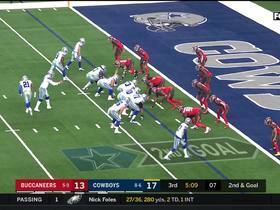 Tampa Bay Buccaneers defensive end Jason Pierre-Paul gets into the backfield to tackle Dallas Cowboys wide receiver Amari Cooper. 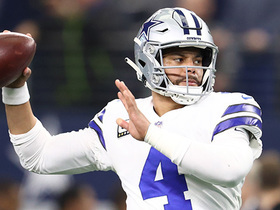 Dallas Cowboys quarterback Dak Prescott throws a 31-yard pass to wide receiver Michael Gallup against the Tampa Bay Buccaneers. 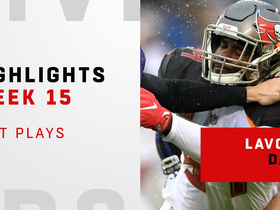 Watch the best plays from Tampa Bay Buccaneers linebacker Lavonte David's big Week 15 game vs. Baltimore Ravens.